JAC Chandigarh Application Form 2019 will be made available tentatively in the first week of June 2019. Joint Admission Committee will release the form in online mode. Registration is required must for the candidate who wishes to fill the form. The details provided should be valid and correct. The last date to submit the application form is in the fourth week of June 2019. Before starting to fill the form candidates are advised to go through the eligibility criteria. Only eligible candidate will be allowed to submit the form otherwise his/her candidature will get cancelled for taking admission. While submitting the Application form of JAC Chandigarh 2019 applicants have to pay an application fee. NOTE – As there is no examination to be conducted so admission will be offered on the basis of JEE Main 2019 rank. Some of the tentative dates related to Application Form of JAC Chandigarh 2019 are listed below. The schedule is generally released by the conducting authorities. Online registration is the first step towards filling the form. Candidates must register themselves before the commencement of the counselling process. No new registration will be accepted after the final date. 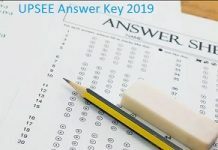 Aspirants have to provide details like Name, Father’s name, Date of Birth, JEE Main Application number 2019, JEE Main Roll number 2019 for the registration process. After providing all the required details a password will be created based on JEE Main 2019 roll number. Through this created password, applicants can log in to their respective account. 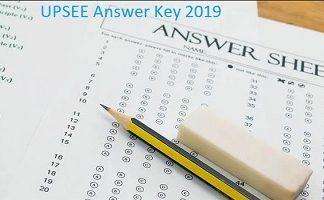 A page will be displayed showing AIR JEE Main 2019 and some additional details like place of qualifying, category, etc. Aspirants have to fill all the required details in the JAC Chandigarh Application form 2019 such as personal, academic, communication details etc. The details provided must be relevant and correct without any fault and if any mistake is made by the applicant while filling the form then it can be modified and edited during the time when correction window will be opened by the authority. Application fee can be paid via online or offline mode. Online payment can be made through Net Banking or Credit/Debit Card while offline payment can be made through Challan. the amount that needs to be paid by different categories is given below in the article. Aspirants are requested to submit their form on or before the last date of submission because late submission will result in the rejection of form. After the form has been successfully submitted take printout of it for future reference. Applicants belonging to General category must have scored an aggregate of 60% in HSC examination while SC/ST/PH category candidates must have scored 55% in HSC examination. JEE Main 2019 ranks will be used to shortlist and allot the seats to the aspirants. The candidate should be Mentally strong and Physically fit.